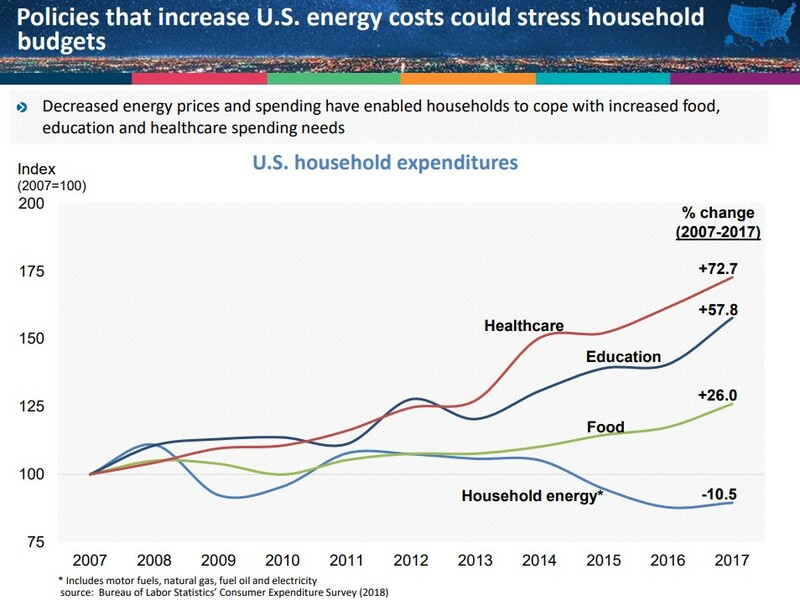 Think of it like this: In a household budget that includes all kinds of costs, the spending on energy – for heating, cooking, fuels and electricity – as a percentage of total household spending has been at its lowest point in more than a decade. 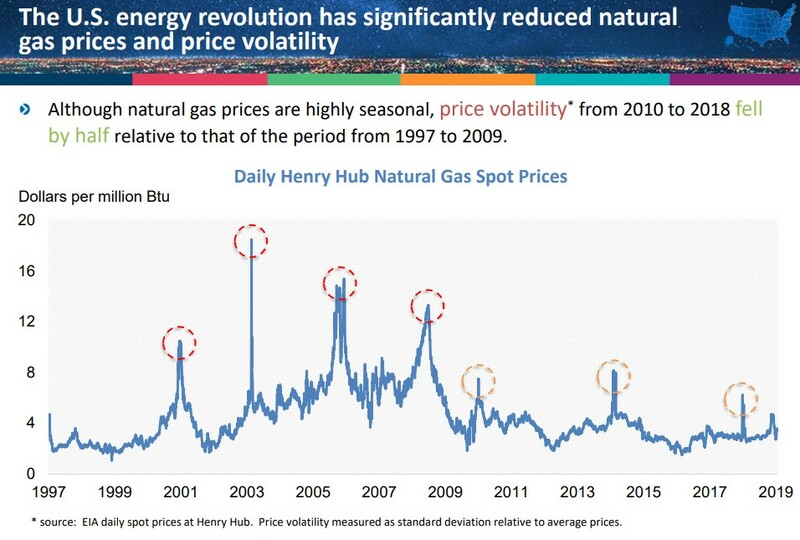 America’s natural gas and oil resurgence has played a major role in that when you think about the average family’s needs for driving, home heating and keeping the lights on (remembering that natural gas is the leading U.S. fuel for power generation). 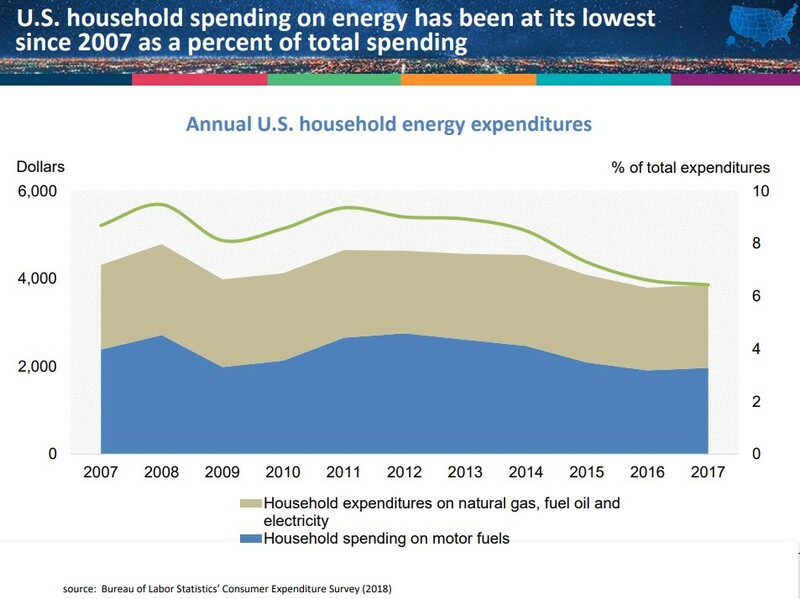 Between 2007-2017, household energy spending fell 10.5 percent, while expenditures for health care (up 72.7 percent), education (+57.8 percent) and food (+26 percent) increased significantly. Unfortunately, that benefit hasn’t been shared in New England, which has failed to expand its pipeline infrastructure (which we’ve discussed here and here). 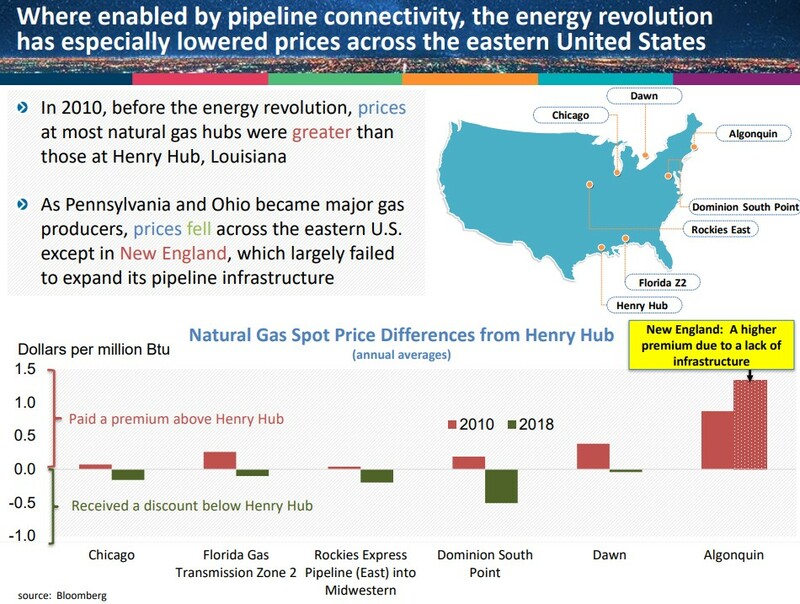 This disparity between New England and other parts of the country is mostly self-imposed – policies and political agendas that have blocked pipeline construction and expansion. We'll close with on a high note: U.S. energy production, which has produced the benefits detailed above, continues to soar. The U.S. Energy Information Administration’s latest Short-Term Energy Outlook estimates U.S. crude oil output averaged 12.1 million barrels per day (b/d) in March, up 0.3 million b/d from February’s average. 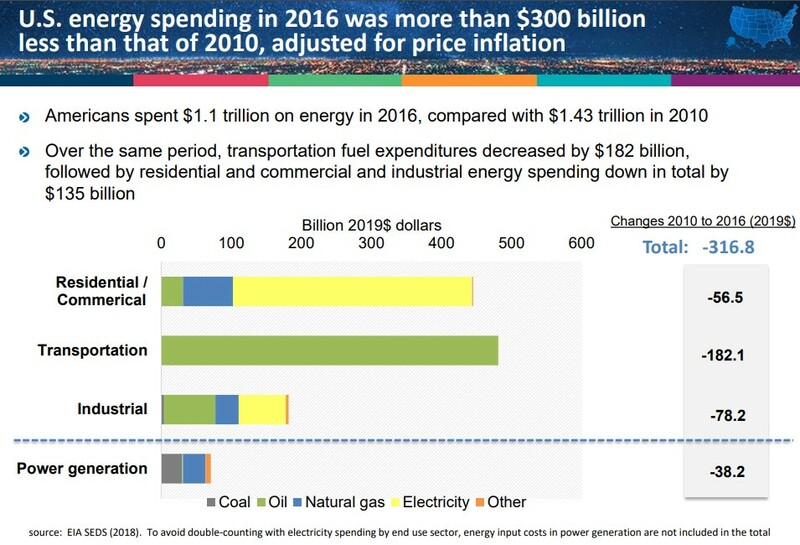 EIA forecasts that production will average 12.4 million b/d in 2019 and 13.1 million b/d in 2020. More U.S. oil entering the global crude market puts downward pressure on the price of crude, which is the chief factor in gasoline and diesel prices at the pump. More good news: EIA projects that U.S. regular gasoline retail prices will average $2.76 per gallon for the upcoming summer driving season – down from last summer’s average of $2.85.